Apart from tolerance for the in-laws, the best relationships are built on shared values, similar interests and common goals. Clearly then, GoBarley and InfraReady Products were meant to be together, and while the ink is still fresh on their new partnership agreement, it already seems like a perfect fit. “GoBarley started as a campaign to educate consumers about the many benefits of Canadian barley,” said Kara Barnes, Director of Grower & Industry Programs for the Barley Council of Canada. As the program evolved, those behind it saw a need to include the food processing industry and paint a more complete picture of who is producing barley products and where those products are coming from. For that, they needed a partner, and, as it turned out, fate had one at the ready; InfraReady, to be precise. 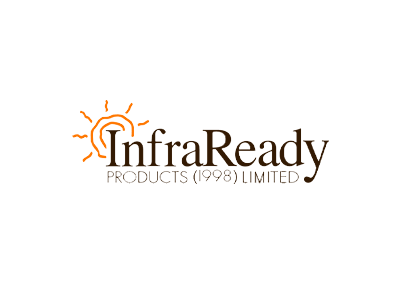 During an agricultural mission to Mexico in January, Barnes met Mark Pickard, the president of InfraReady Products (1998) Ltd. “We’re an industrial food ingredient supplier with 300 products generated from 60 different raw materials,” said Pickard. “They’re all cooked with infrared technology which imparts key selling features to cereals, pulses and oilseeds.” To partner with GoBarley, a company must produce barley items where at least 90 per cent of the barley in those products is Canadian grown. Because they source all of their barley locally, InfraReady comes in at 100 per cent. Given that fact, collaboration was inevitable. And like any good relationship, both sides will benefit. “Everything we do is built on a platform of health and wellness, and we see barley as a key part of that foundation,” said Pickard. “We believe the GoBarley campaign will increase awareness and acceptance of barley as an ingredient.” The partnership allows InfraReady to put the GoBarley label on their products and build awareness of their commitment to Canadian grown barley. In the process, Pickard hopes it will spawn innovation in the food industry to include more barley ingredients in their products; ingredients that his company can provide. For her part, Barnes sees the partnership as a launching pad for a national barley campaign, and the countdown is on. She’s also pleased at InfraReady’s role in the value chain as the first step between raw barley and the product that consumers enjoy. So what excites her the most? “I’m thrilled not only that we’re expanding to the national arena, but that we’re doing it with a partner who is dedicated to sourcing high quality products and promoting delicious, nutritious and versatile ingredients to their customers.” Or as Pickard put it, “we want barley to get its due; for consumers to recognize that ‘hey, there’s barley in there and it’s good for me.’” Given the twist of fate that brought them together and the possibilities that lie ahead, perhaps Humphrey Bogart should have the last word: “I think this is the beginning of a beautiful friendship”.